How do I buy and/or collect produce? It's super simple! First search and find the produce you would like to request, then click Request now located under the grower's info on the produce listing page. 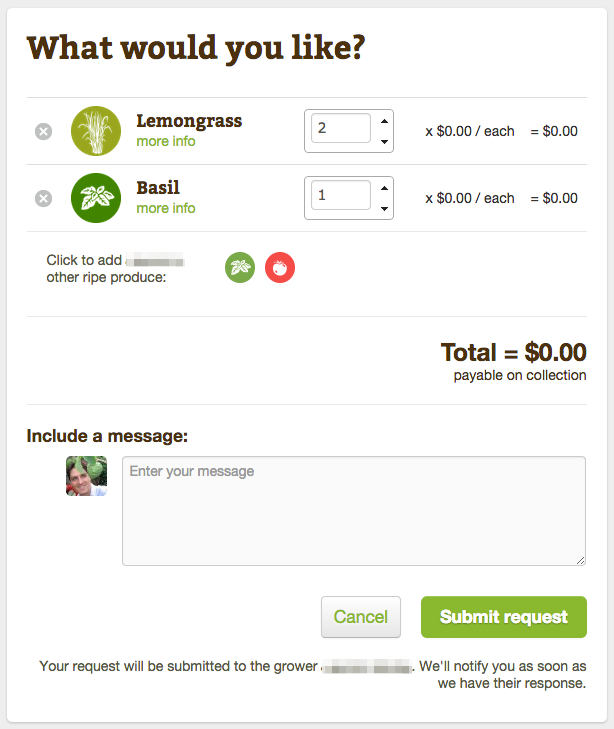 You'll only be able to request produce that's in-season and ripe, and will be prompted to subscribe if not. 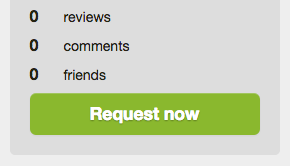 The request page that loads will allow you to add the quantity you'd like, and write a message to the grower. If they also have other produce ripe in their garden you can add it to your oder. When you're ready click Sumbit request. A message will be sent to the grower, and you'll get an email as soon as they respond. We recommend exchanging messages within the request page to finalize the where and when of your exchange. Before picking any food, make sure it is on public land and look for any signs in the area that may suggest otherwise. If given the all clear, you are free to take as much as you like. If food is on private land, make sure you get permission from the owner before entering the property and ask if there’s a fee for picking food. Be courteous and respectful of the owner’s wishes. Even if the food is on public land, there’s no need to take more than you expect to eat. Always try to leave some for the next person who comes along. Before visiting a place to pick up food, it is best to negotiate payment methods and terms. Make sure it’s clear how much they’re charging or whether they would accept other food items in exchange for their produce. Once an amount has been agreed on, it’s best to pay by cash. We think the RipeNearMe community is a pretty good bunch. Still, you can never be too careful when contacting people you’ve met online. You should never give away personal information such as credit card details over this site.